Jewelryclassdc has the best equipped metalsmithing shop in the DC Metro area. 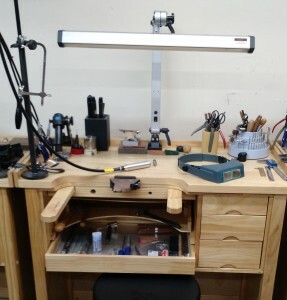 Though classes are kept to (10) students or less we have a total of (28) benches. 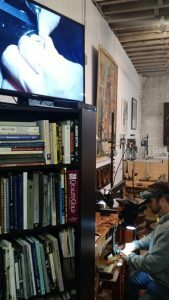 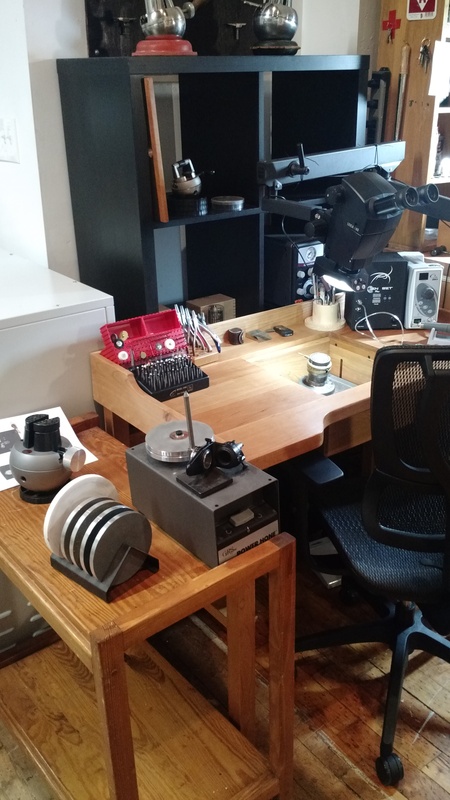 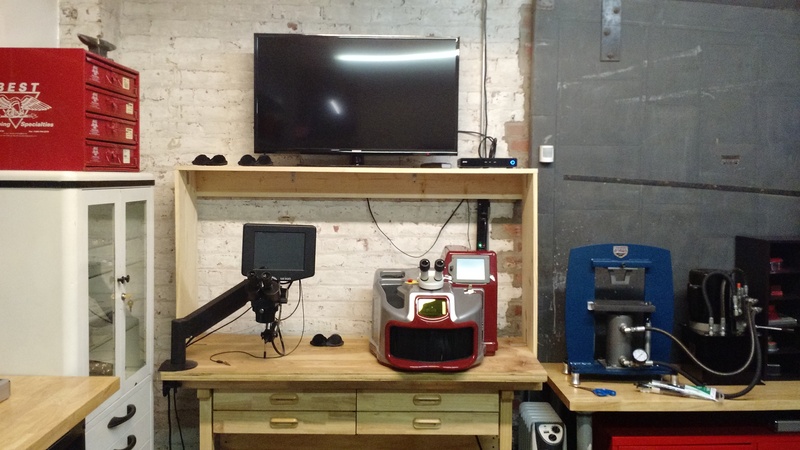 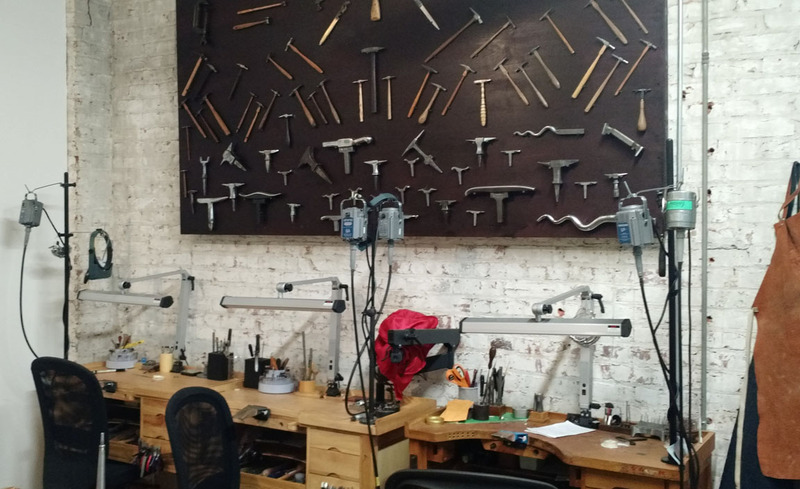 Regardless of whether you are signed up for an two week, eight week session, or for an eight month extended study session you will sit at a professionally outfitted Goldsmithing bench. 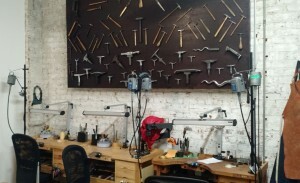 No need to bring any tool, ever, and no waiting on a tool. The space is air conditioned with 15′ high ceilings, hardwood floors, and beautifully furnished with antique tools and art. 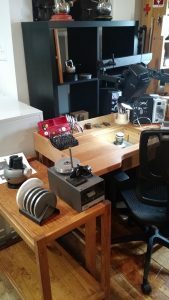 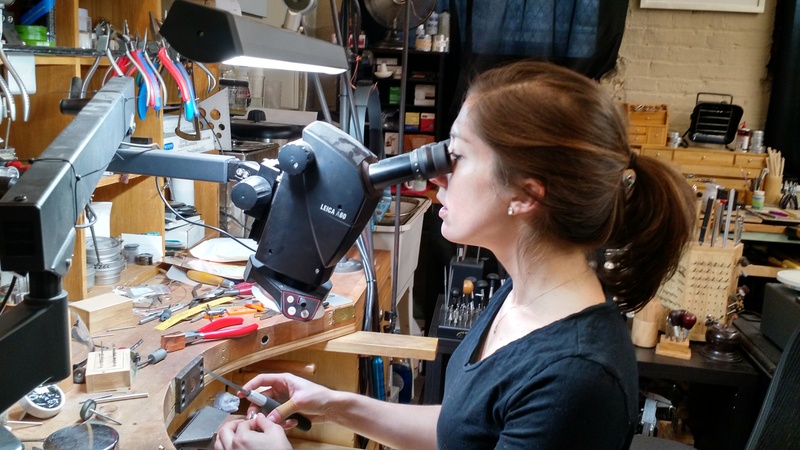 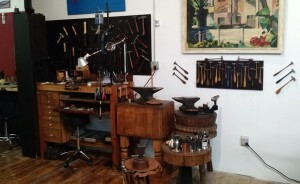 With dedicated setting benches, wax carving station and an incredible collection of vintage metalsmithing tools there is simply no better place to study jewelrymaking in DC. 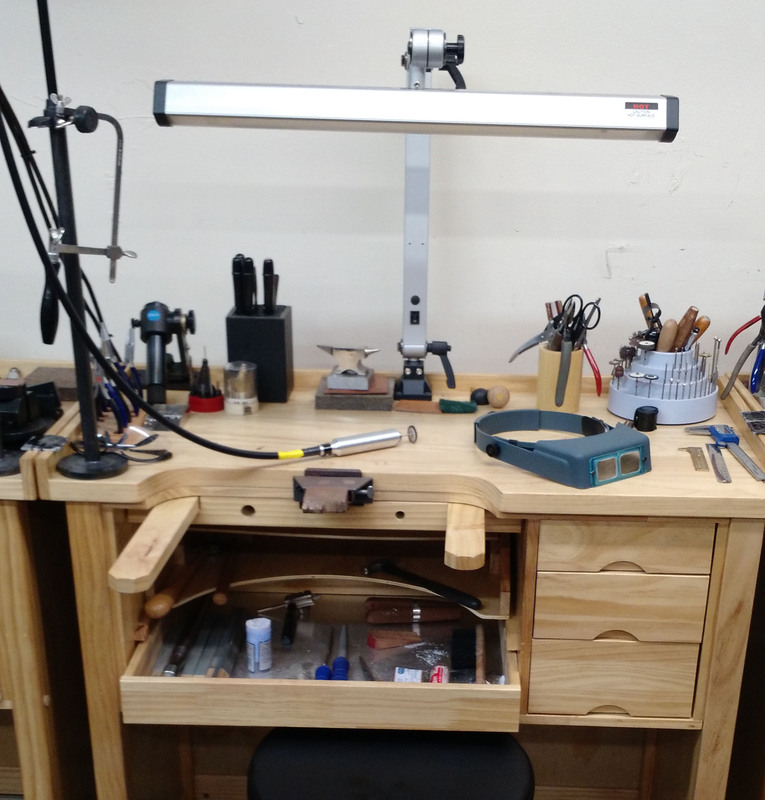 (28) Each bench is supplied with a state of the art complement of tools including the benchmate system. 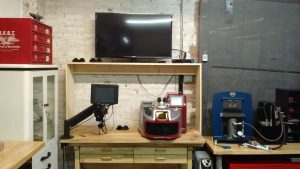 Laser welders internal camera connected to big screen tv.